The BEING Mechanical Ovens allow for a smooth and efficient control of temperature from 10°C over ambient temperature to 280°C. The PID controller, with double color display, continuously displays the set temperature and actual temperature inside the chamber. Operating time is also displayed for the user. 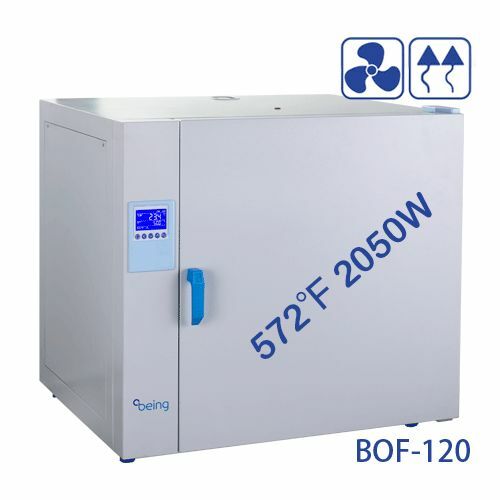 The fan generated circulation of air within the chamber helps to guaranty uniformity of temperature throughout the oven. As with all our ovens, we incorporate the best safety features ensuring peace of mind to our customers when using BEING products! The Lindberg Blue M Mechanical Oven model MO1440SA-1 features internal blowers for circulating heated air for maximum chamber temp uniformity. Microprocessor based digital temperature control automatically optimizes control parameters. This 3 cubic foot stainless steel oven reaches temperatures up to 300°C with excellent control accuracy and temperature uniformity. 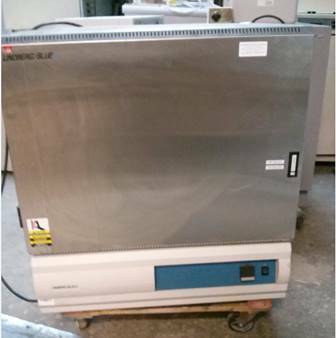 With overtemperature control safety reset and high limit overtemp protection, this Lindberg Blue M oven ensures your sample's safety. 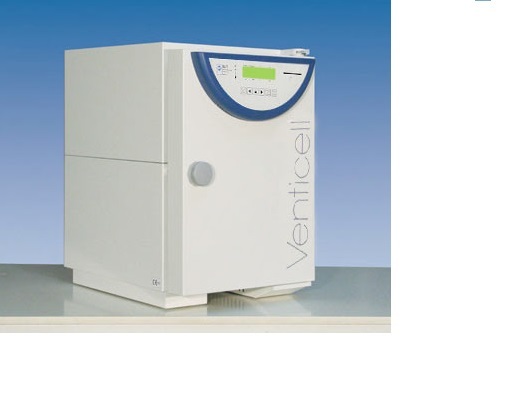 An accurate and quick laboratory oven with a 111-liter chamber volume. 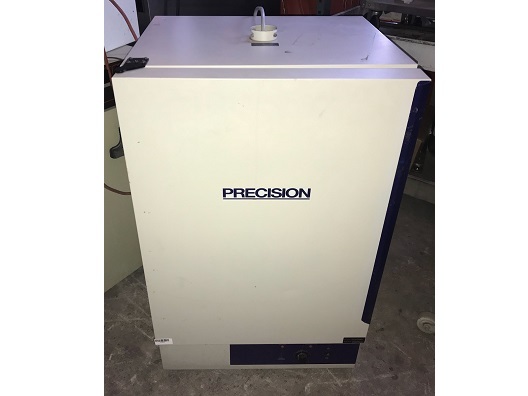 Wide range of optional equipment and accessories and an output option for a printer or PC connection. High operation comfort, precise temperature regulation and short times of temperature recovery in the chamber after the door opening. 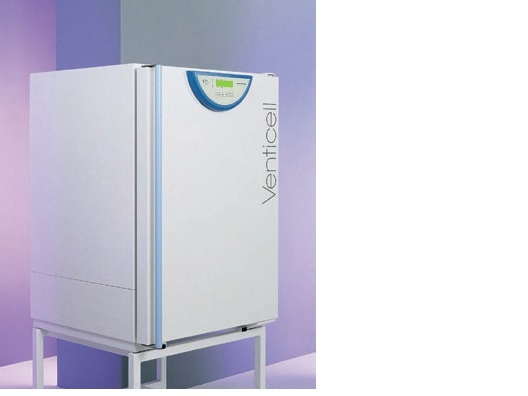 The Venticell line is built with a patented system of forced air circulation which ensures a homogeneous profile for all heating and drying processes. Ideal for materials with high humidity. An accurate and quick laboratory oven with a 22-liter chamber volume and patented system of forced air flow in the chamber ensuring a homogenous temperature profile for all processes of drying, heating and sterilizing materials in laboratories. Standard model with a Fuzzy-Logic microprocessor control system; control elements situated on a foil keyboard, process information indicated on a LED display. 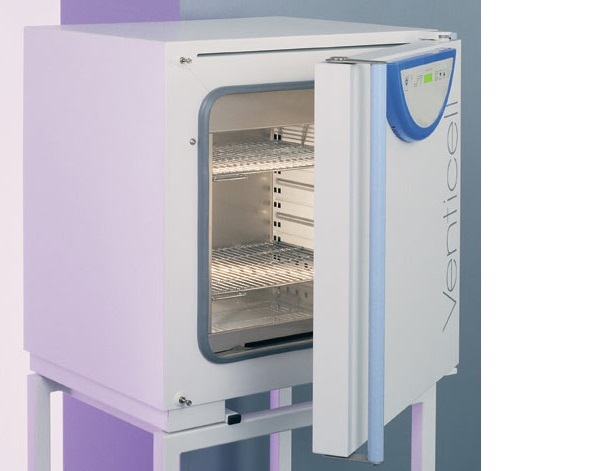 An accurate and quick laboratory oven with a 222-liter chamber volume. 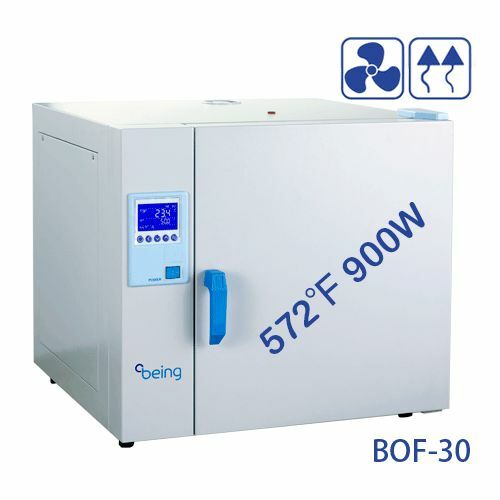 High operation comfort, precise temperature regulation and short times of temperature recovery in the chamber after the door opening. Greater speed and accuracy of all tempering procedures ensures cost-saving operation; suitable especially for materials of high humidity, for demanding and accurate tests and processes.